Extinction of All Children started out a little slow, but then it surprised me and sucked me into its unique plot. The characters were interesting, the drama was engaging, and the lead character was a resilient and ambitious female. All good things, right? The main problem I had with the story was that it had several slow portions that seemed to drag on forever, but I tried to look past that and aim for the ending. The last few chapters really picked up and left me with a lot of unanswered questions. If I would have read just the first half of the book, I probably wouldn't want to pick up the sequel. As I kept reading, I began to enjoy the book more, and the ending left me begging for the second book. 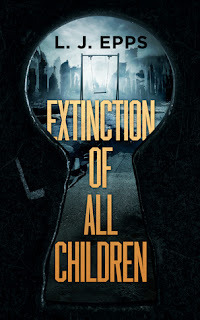 All in all, I would say Extinction of All Children was an interesting read with a unique plot. I would recommend this book to lovers of YA with the warning that the first half is rather slow. I enjoyed the book and want to read the sequel now!